She accused Mr Spacey of buying her then 18-year-old son alcohol - the drinking age in Massachusetts is 21 - and then groping him. 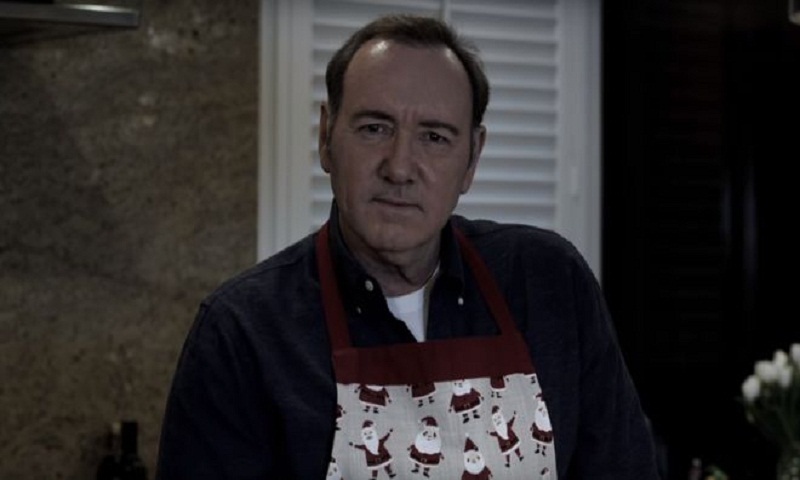 In the video, Mr Spacey speaks in Frank Underwood's accent and addresses the viewer directly, much like he did throughout his five seasons on House of Cards. Frank Underwood was the power-hungry and conniving protagonist of the Netflix series, and murdered a journalist and a politician before he was killed off ahead of season six. The three-minute clip, which is titled Let Me Be Frank, marks Mr Spacey's first public appearance since the first allegation of sexual assault was made against him last November. Mr Spacey said he had no memory of the event but publicly apologised before issuing an "absolute" denial of the other allegations. Separately, in September, the Los Angeles County District Attorney's office said Mr Spacey would not be prosecuted over an accusation of sexual assault that allegedly took place in 1992. The controversy has led to Mr Spacey being axed from a number of roles, including from House of Cards and the 2017 film All the Money in the World, which was re-shot without him.